To simplify your local or long distance move, Upline Moving provides detailed moving consultations and flat-rate pricing with no hidden fees. Whether you’re moving just a few miles within Sonoma County or thousands of miles across the country, you deserve to work with Santa Rosa movers who will put your priorities first. And without doubt, there’s one local company that consistently exceeds expectations from door to door: Upline Moving! Family-owned, BBB-accredited, and ProMover-designated, we make moving better. 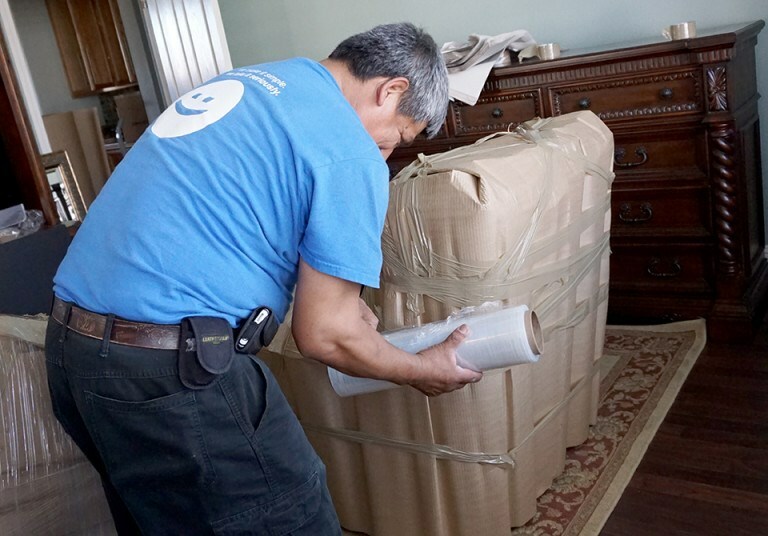 Unlike many other Santa Rosa movers, we only do household moves—giving us a level of close knowledge and built-up expertise that simply can’t be matched. We’ll treat your move with the respect and attention it deserves, regardless of the distance you have to go. With more than a decade of experience, Upline Moving has earned a reputation for premium service at an affordable price—a guarantee that we maintain through our convenient flat-rate pricing and upfront cost estimates. We’ll begin your household move with a free moving survey and itemized quote, and we promise absolutely no hidden fees. For trustworthy, honest movers, Santa Rosa CA residents frequently recommend us to their friends and family. In fact, more than 70% of our business comes from repeat customers or personal recommendations! Many Santa Rosa moving companies offer standardized packages in order to cut their own operating costs, but Upline Moving doesn’t. We recognize that every family will have slightly different needs for a local or long distance move, so we happily adjust our services to better serve our clients. It’s never too late to get started with our Santa Rosa moving company! We specialize in last minute moving assistance that many other companies flat-out reject. Even though the preparation and planning time may be limited, you’ll still be treated to the same helpful customization and deluxe amenities as any other household move. Treat yourself, your family members, and your valuable belongings to the difference of Upline Moving. With flat-rate pricing and free moving quotes, there’s no reason not to get started today! Just give our Santa Rosa movers a call or fill out our simple online form now.